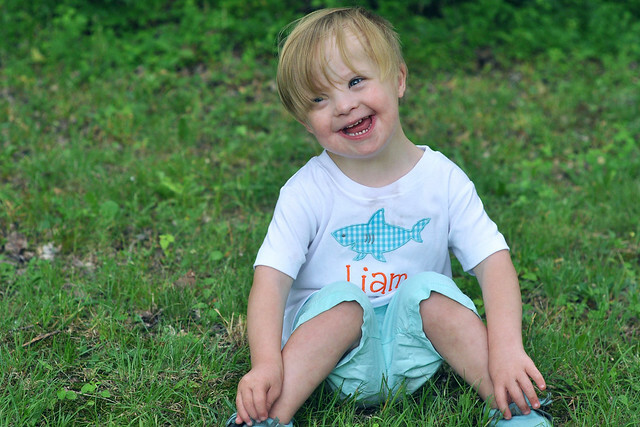 One of the fun perks of having little kids is dressing them in all the cute outfits! I try to enjoy it while I can, because they grow up WAY too fast. Trust me. My two older children have strong opinions on their style now! 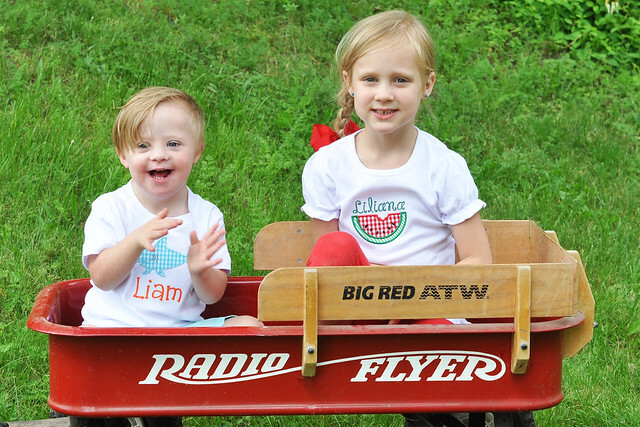 Thankfully, Lily and Liam are fair game! I'm not going to lie...I just might have a slight problem when it comes to shopping for clothing for my kids. And it really is every bit as much fun shopping for a boy as it is for a girl! Although I do buy some clothing from major companies, I try to shop small as often as I possibly can and offer those companies my support. Some of my most favorite pieces come from small businesses! The items are high quality, stylish and unique. Plus, the customer service can't be beat! 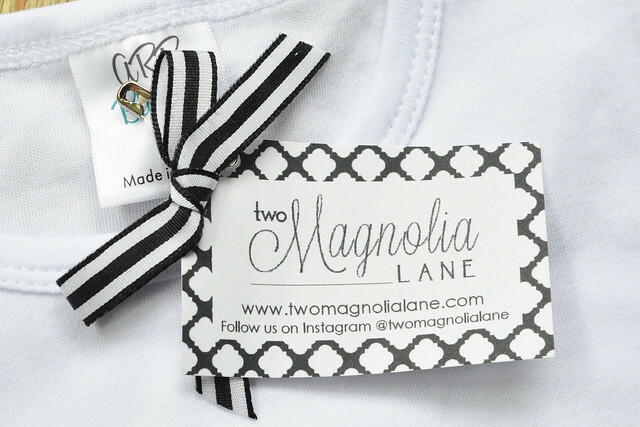 Two Magnolia Lane is a shop that I would love to introduce you to! 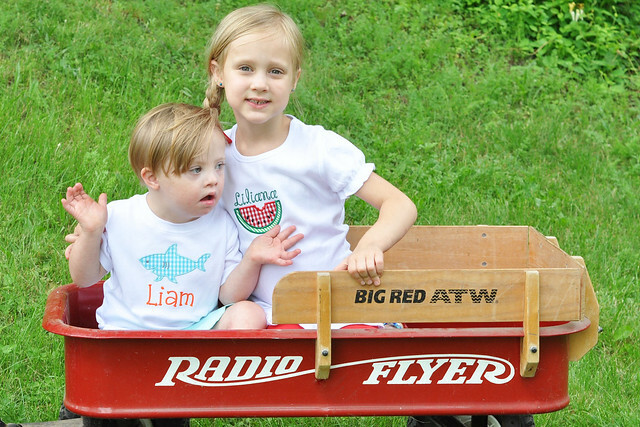 Two Magnolia Lane offers monogrammed gifts for people of all ages. Although Halloween and Christmas pajamas are the biggest sellers, Two Magnolia Lane offers so much more. From shirts to bows to back to school there's something for everyone! 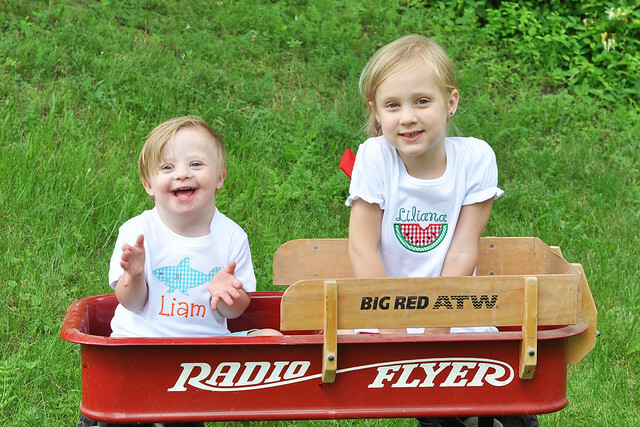 Right now, Summer-themed applique shirts are available! 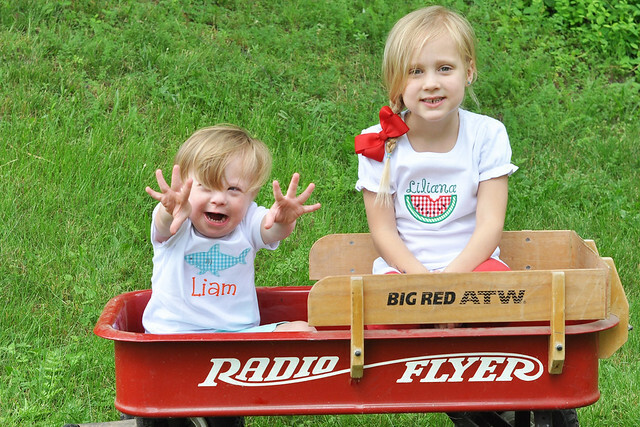 Ashley, from Two Magnolia Lane, generously sent two shirts for Lily and Liam to wear. 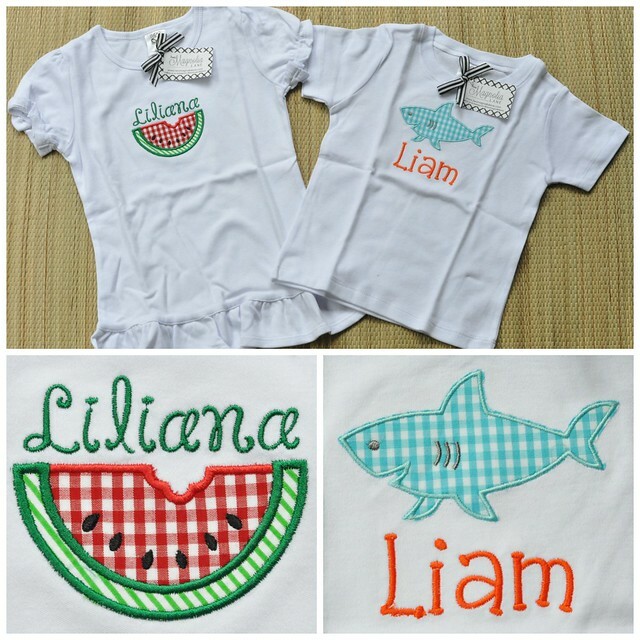 We received the watermelon and shark applique shirts, which are adorable, but the anchor and sailboat are equally as cute! I was immediately impressed by the quality of the shirts. They are thick and super soft and fit true to size! 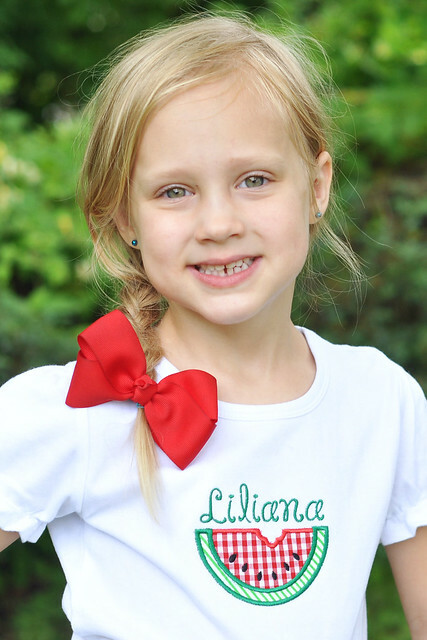 I love the ruffle style of Lily's shirt, and the appliques are perfect for Summer. 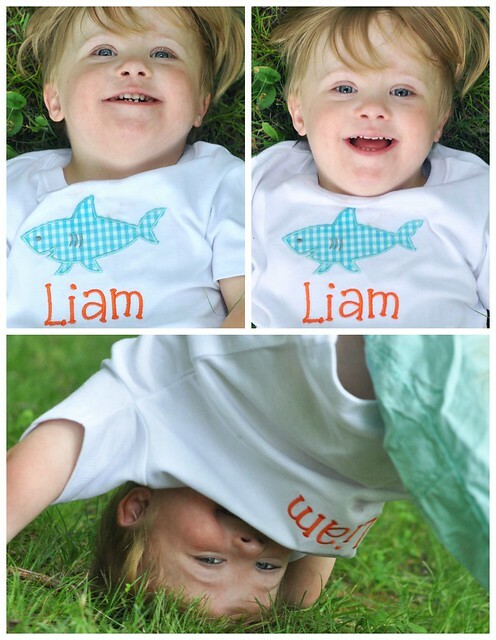 The monograms just add to the cuteness! 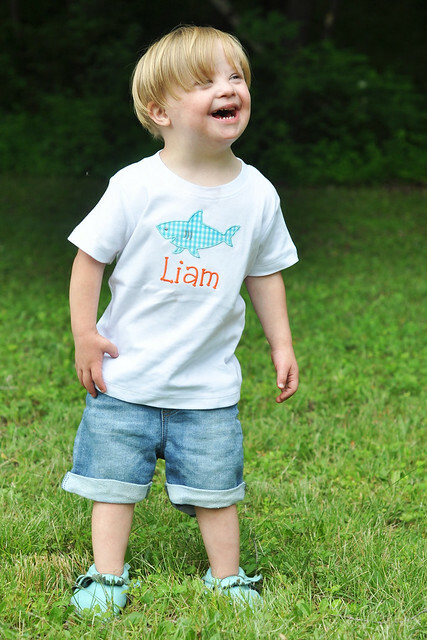 Liam LOVED his monogrammed shark applique shirt! He kept touching the shark and lifting up his shirt to get a better look. 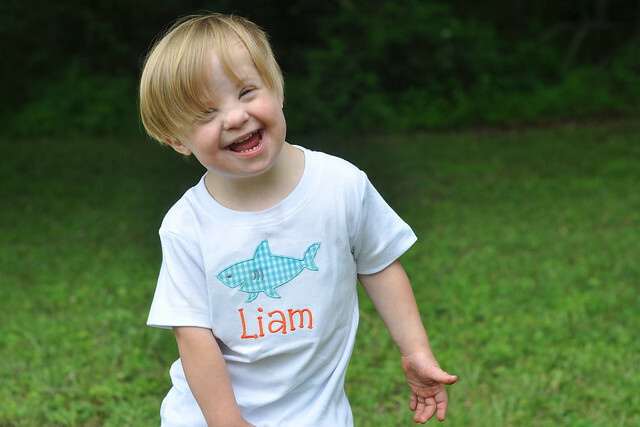 This shirt is going to be perfect for our trip to the beach and all our trips to the aquarium! This shirt looks adorable paired with preppy shorts and moccasins and is comfortable for my Toddler Tornado to wear while playing! It also looks cute and casual with some denim shorts! 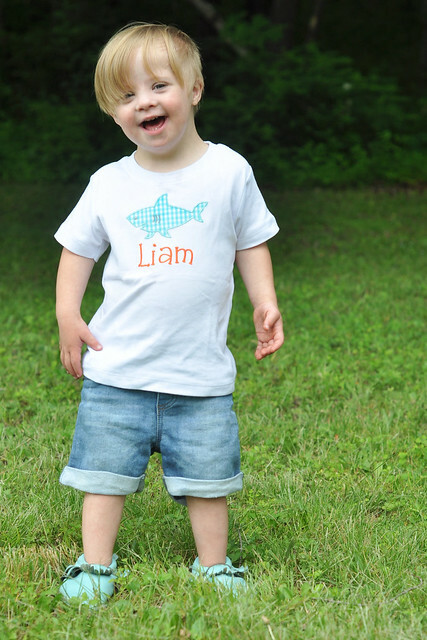 And if you ask Liam what a shark says, he will happily demonstrate! 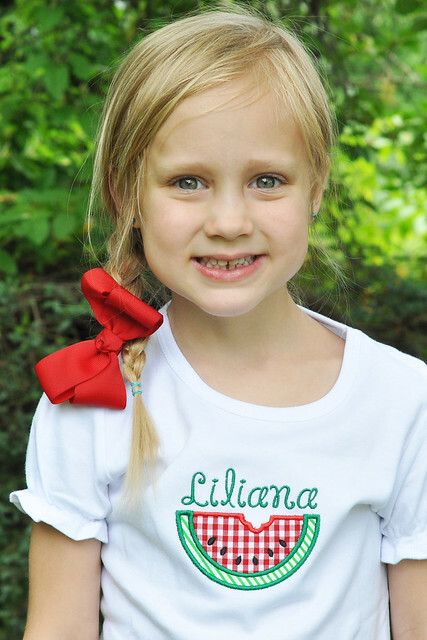 My sweet Liliana loves her watermelon shirt because "watermelon is my favorite fruit, you know!" This shirt looks so cute paired with capri leggings and I love how the ruffle sleeves and hem give it a dressier look! It looks just as cute paired with some ruffled denim shorts for a trip to the playground! 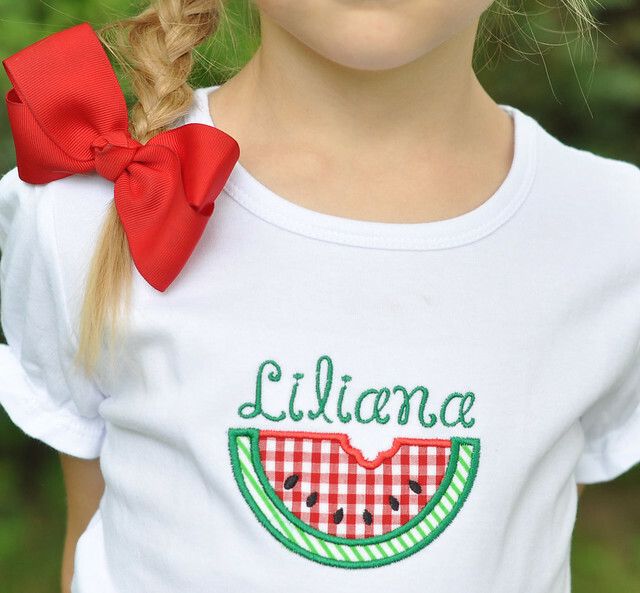 Lily looked so adorable in her monogrammed watermelon applique shirt! If you're looking for a high-quality monogrammed item for someone you love, I highly recommend checking out Two Magnolia Lane! Choose a Summer-themed applique shirt for now and check back later in the summer for Back to School Items. Backpacks, lunch boxes and nap mats will all be available soon! We absolutely love our monogrammed applique shirts from Two Magnolia Lane! Stay up to date with what Two Magnolia Lane has to offer by following along on INSTAGRAM and FACEBOOK! *I received two shirts in exchange for my honest review. So adorable! 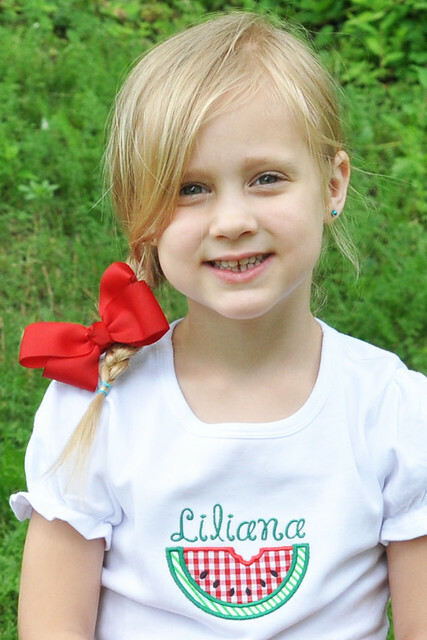 I adore personalized shirts for Elin from etsy shops!! I have to start stocking up on some for Grayson, too! They are so cute! I hope you find some good ones! Love the shirts! 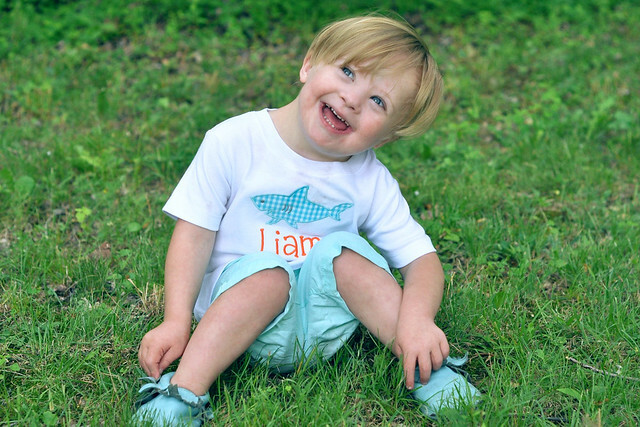 Liam's personality just exudes through the pictures! Sweet boy. And Lily is just darling! Thank you so much! They definitely have big personalities. Liam is such a ham! Oh my goodness - they both are adorable!! I'm so glad you (and they) liked the shirts!! Thank you so much for your generosity! I love them! So much cuteness! Liam stealing the show per usual! Thank you! He is quite the ham! What great shirts! Of course, your kiddos make the cutest models. I'm all about supporting small businesses too! So cute! I love how sweet Lily's shirt is with the little ruffles. That is so hard to find now days!